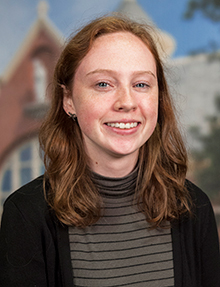 Jenny Patton originally joined the library team in 2014 as a student worker, and upon graduating in 2017 assumed the role of library services associate. Along with working the closing shift Sunday through Thursday, Jenny is currently working on completing her Master's degree in Library and Information Science. In her role as a library services associate, Jenny's primary responsibility is to assist patrons with any needs they have while visiting the library. She enjoys engaging with patrons and helping them meet any needs that they may have. In her spare time, Jenny enjoys trying out new coffee shops and revisiting favorites, as well as reading and catching up on her TV shows.